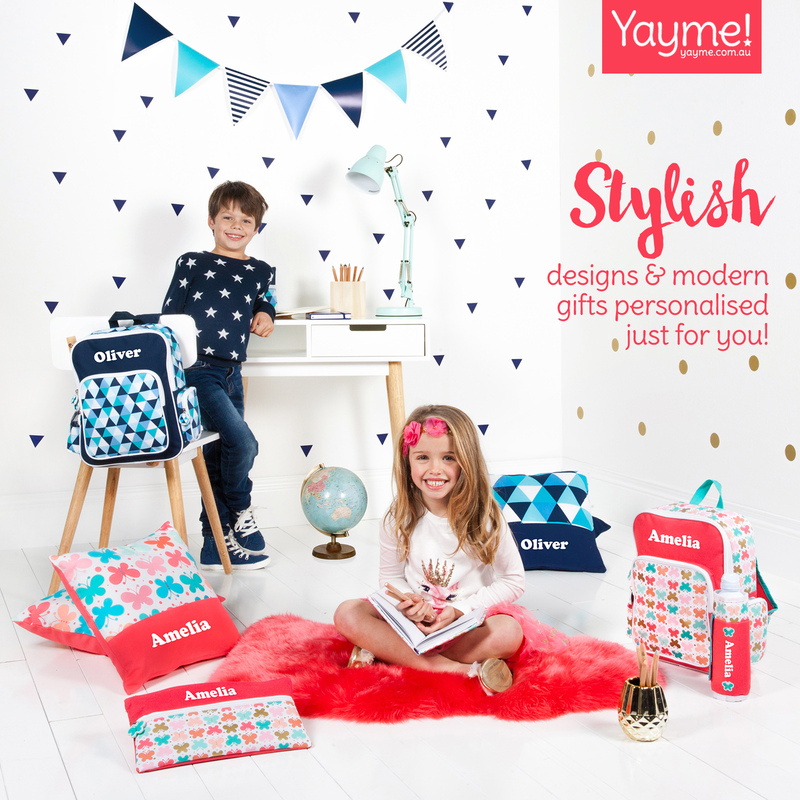 Looking for a fun outdoors action packed activity? 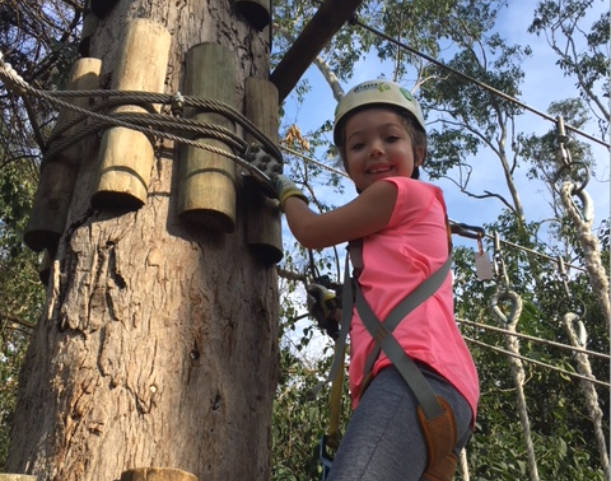 Take the tribe to Trees Adventure in Grose River Park for some tree climbing, zip lining fun! 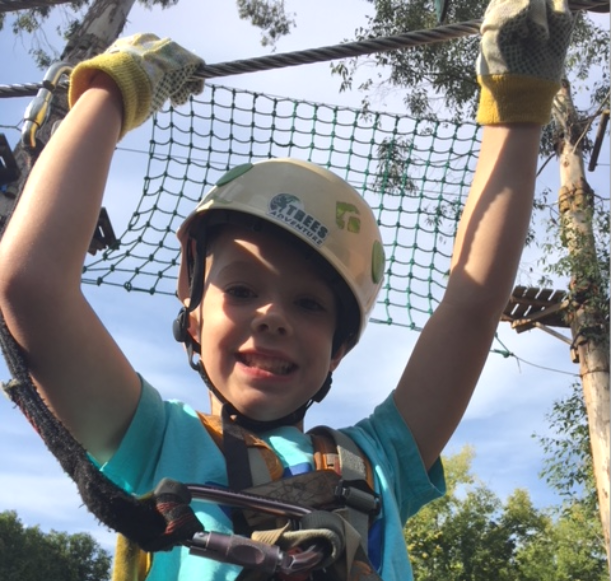 Trees Adventure has different courses suited to different age groups and abilities and admission includes a two hour session. Our kids did the 4-7 years beginners course, which has no adults on the course but you can walk around at the bottom and help them through it. (Not that they needed much help!). In the 4-7 years course there are two different circuits, one a little harder than the other. One includes a flying fox and moving logs to give an extra challenge for the little ones. We were comfortable letting the kids climb about in the trees as it is very safe! The kids are harnessed in and can’t come lose and they complete training first. Once they start a course (which took about 15 minutes on their first attempt, then they could keep going back through it for up to two hours). Once they start a course, they have to complete it, so I recommend they go to the toilet before they start. 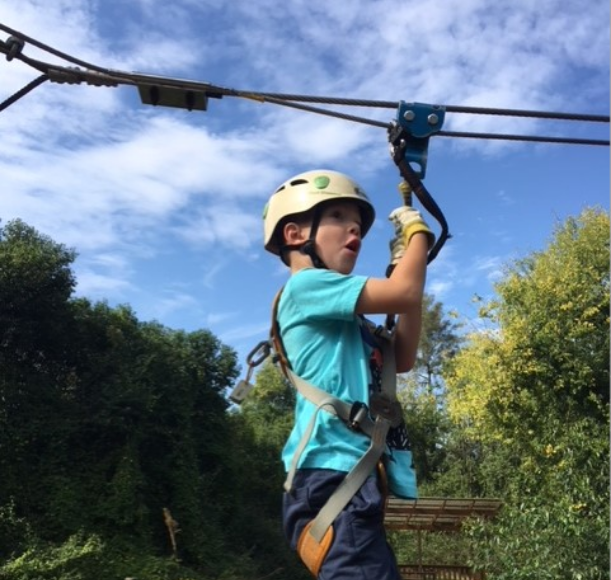 After a couple of times they became very confident and Levi was able to complete the circuits within minutes. They have courses for all levels … there were adults and older kids doing circuits above us about 10m off the ground. 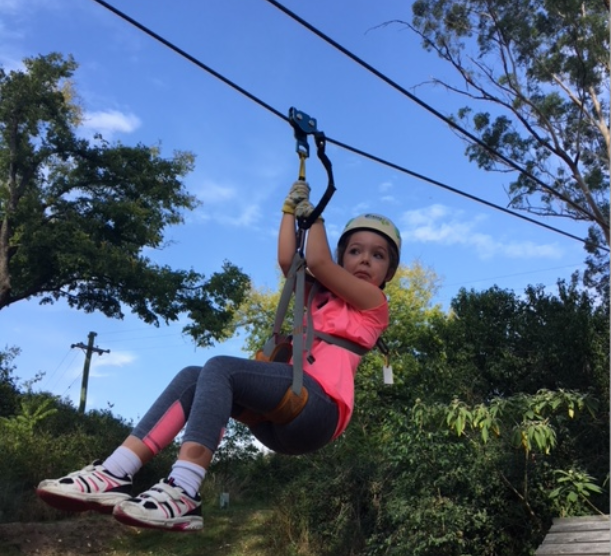 Different levels require adult assistance, but you must book in before you head to Trees Adventure so they can tell you if the course for your child requires your assistance on the day. I would recommend you book a time slot for 9 or 9.30am as we were the only ones until about 10am. It was a nice drive out there. 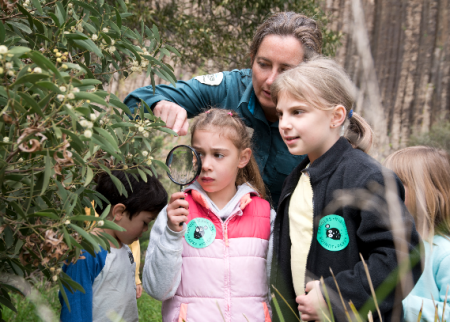 Trees Adventure is located in Yarramundi, in the Blue Mountains. The kids loved it. There were heaps of giggles and by the end Levi our four year old was totally showing off. It has a cafe with drinks and snacks and they also have covered areas for picnics if you want to pack a lunch and enjoy the day there. Next time my husband Grant and I want to have a go! We highly recommend this activity for other tribes. 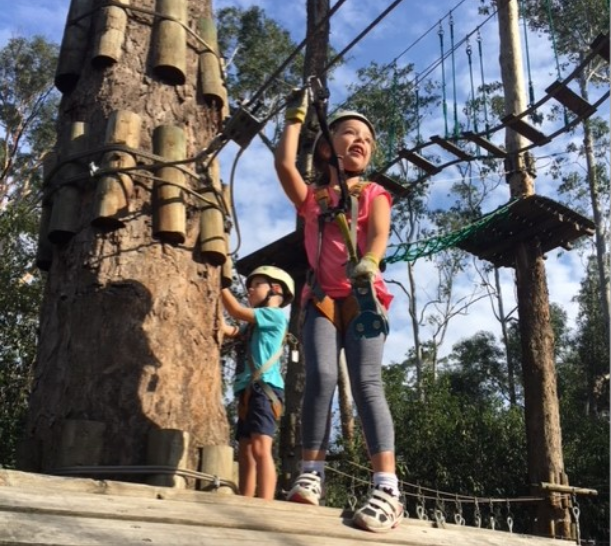 Thank you to Leanne and the Holden tribe for sharing their fun day at Trees Adventure with us! If you want to recommend an activity your tribe loved, click here.